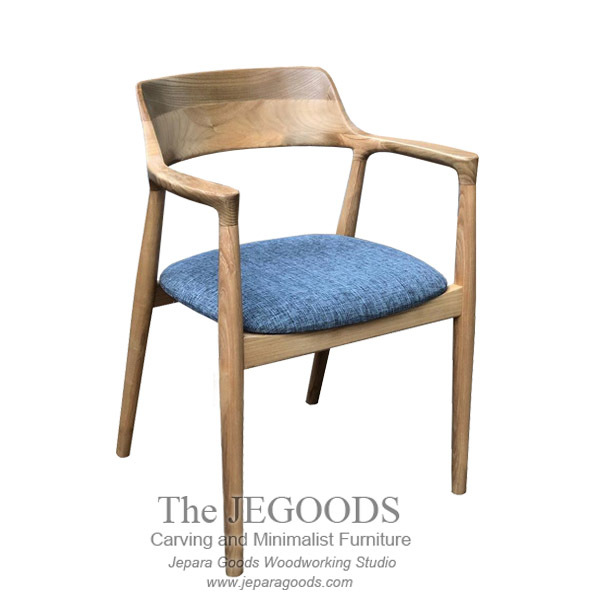 A stylish chair with curve and rounded with no sharp edges. Inspired by mid century modern design style. Istimewa Arm Chair is an attractive design that will blend with your modern home interior, it’s ideal piece of chair furniture to add to your dining room or office room. Beautifully made of Sungkai Wood Indonesia. Best handmade construction method by our experienced wood craftsman in Jepara, Central Java – Indonesia. Istimewa Arm Chair is made of best by skilled furniture craftsmen at affordable price. Ideal for private house or as commercial use. If you have any custom designs, please contact us and we will do our best to fulfill your need.